This holiday season we are offering more than just the opportunity to buy your friends and family game time here at Augmentality Labs. When you purchase a gift card of any value, from November 22nd to December 23rd, you will be entered into a raffle to win an Oculus GO VR headset. The drawing for the raffle will be December 24th. 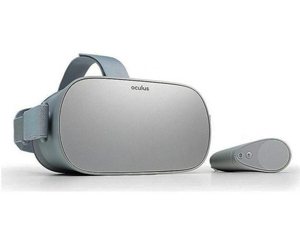 If you would like to know more about the Oculus GO experience, Click here to learn more about the Oculus GO.